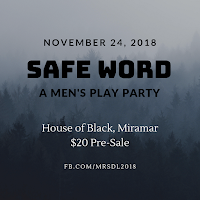 Fetish Men San Diego: SAFE WORD: Men's Party TOMORROW! 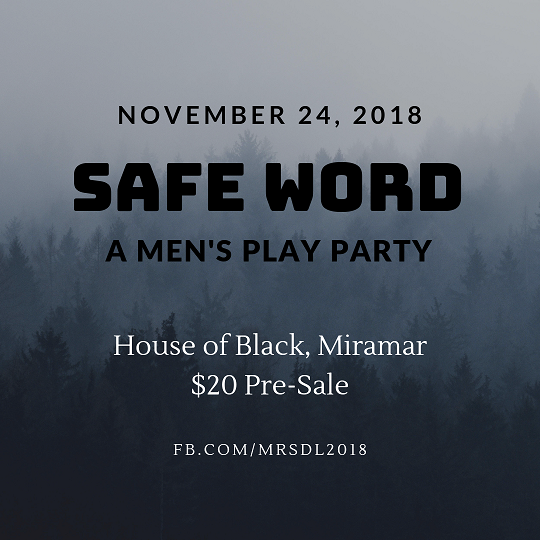 SAFE WORD: Men's Party TOMORROW! Tickets are $205 via BrownPaperTickets, a secure ticketing website which produces a physical or electronic ticket at your discretion. When registering for your ticket this way, please include your First and Last name for the door list as well as a valid Email Address for any producer messages we may send out.